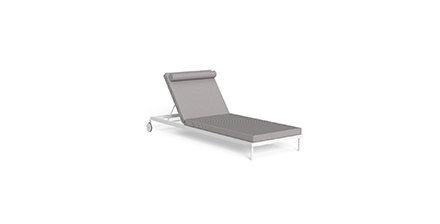 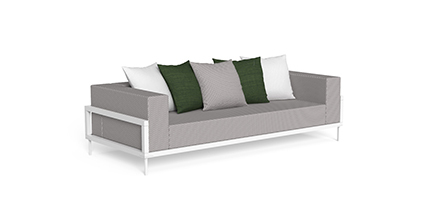 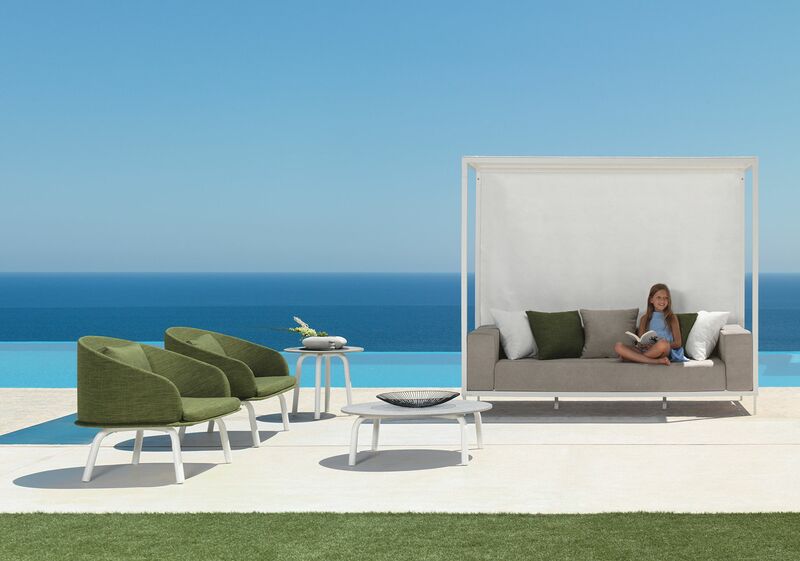 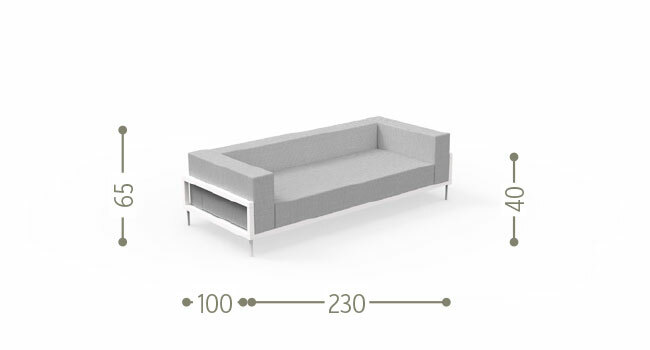 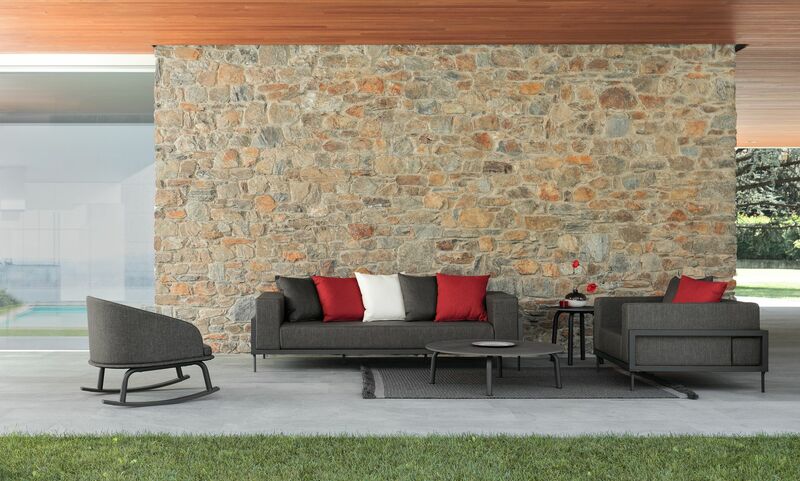 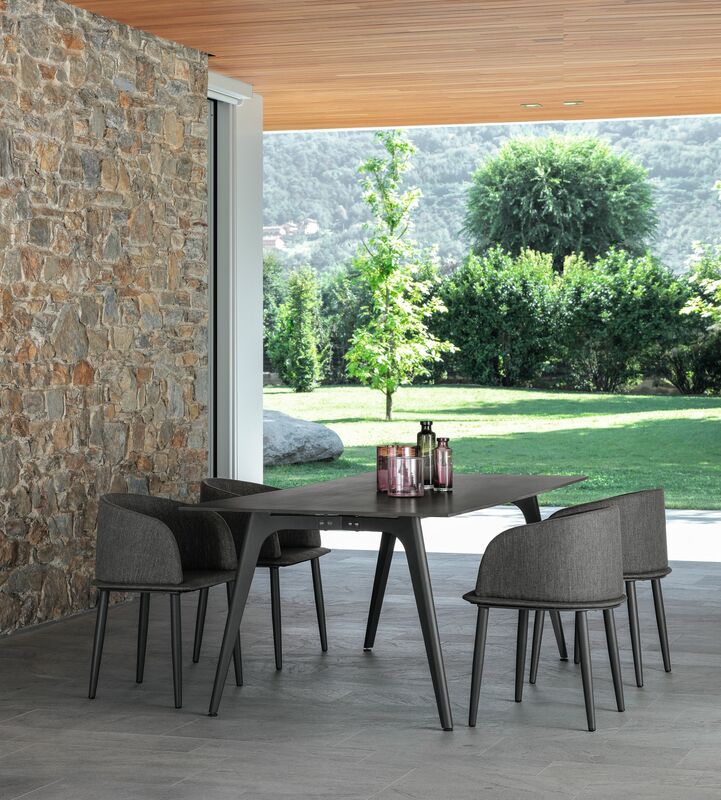 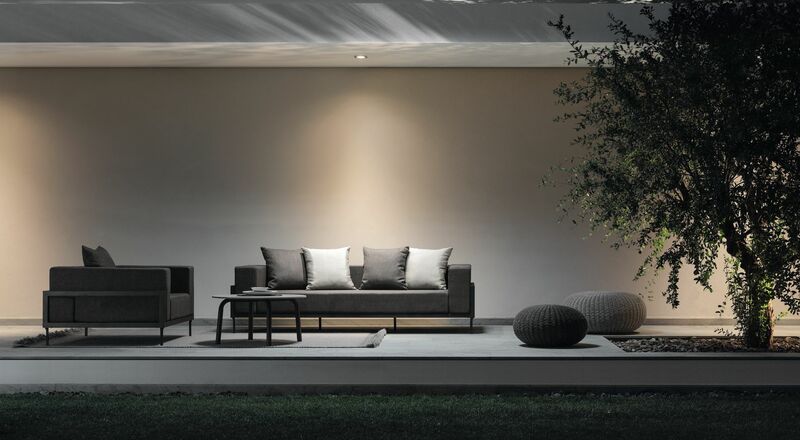 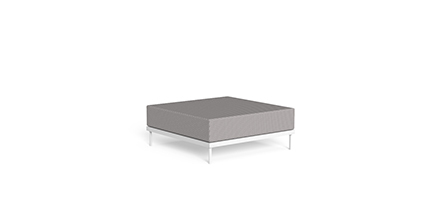 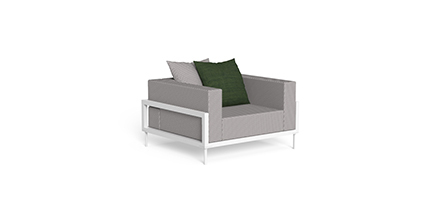 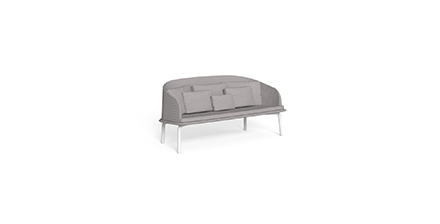 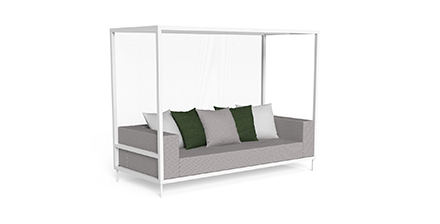 The CleoAlu 3-seater outdoor sofa summarizes the volume, shape and balance characteristics of the entire collection. 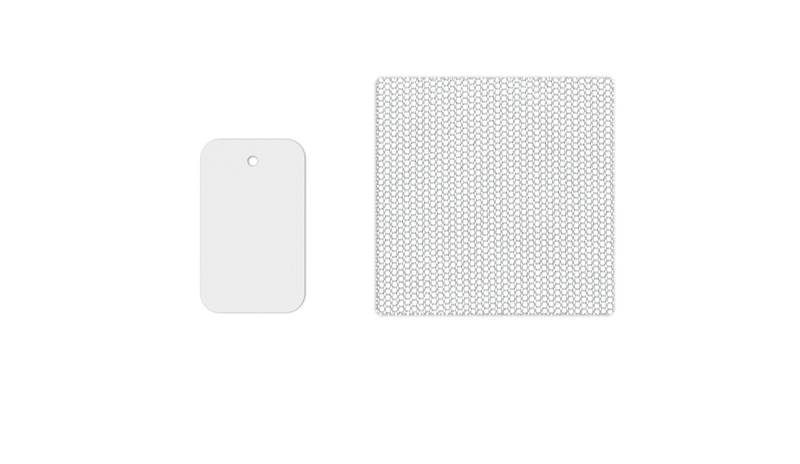 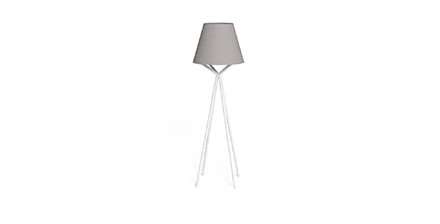 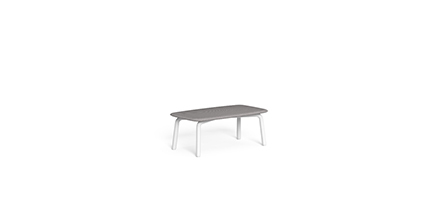 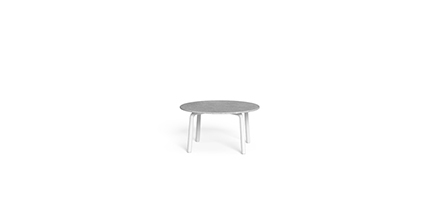 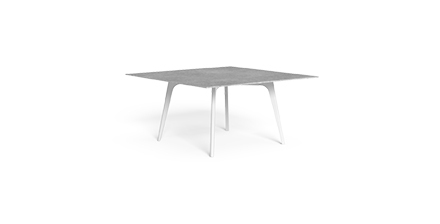 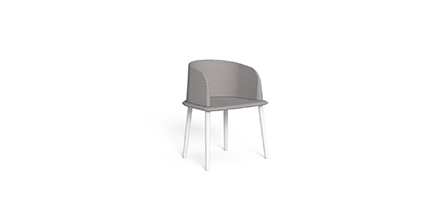 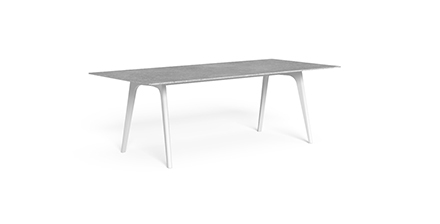 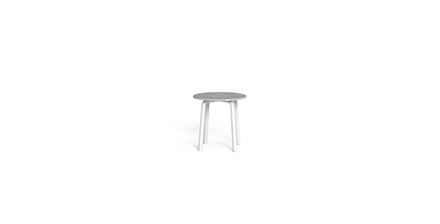 The voluminous padding of the seat and backrest, made of removable fabric, easy to wash and weather resistant, is placed on a powder-coated aluminium structure. 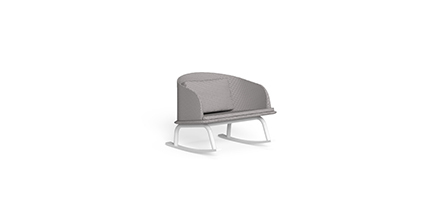 The padding is in quick dry foam.